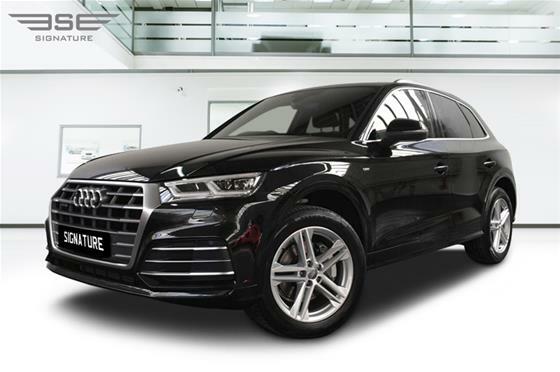 Signature’s fleet of Audi self-drive vehicles offer an invigorating driving experience from start to finish. 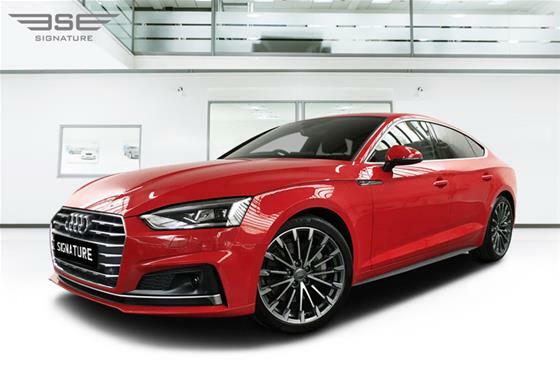 Famed for their German engineering and performance stats, Signature Audi hire cars are sporty, sleek and performance driven. 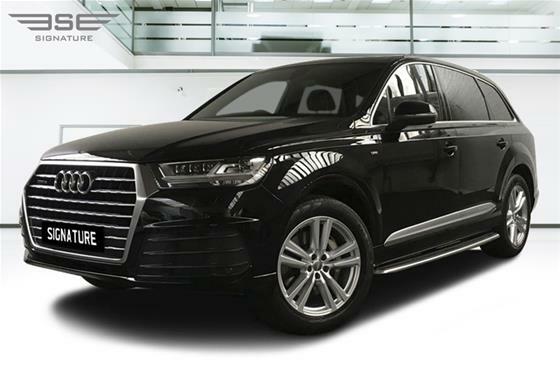 All our Audis are bought new and include the highest specifications to ensure your self-drive car hire experience is exceptional. 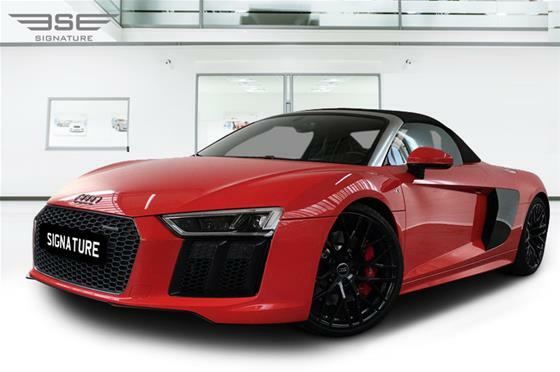 With breath-taking performance figures and recognisable design features Audi sports cars are everything you would expect and more. Enjoy an exhilarating and thrilling drive by hiring our performance Audis on a self-drive hire basis. 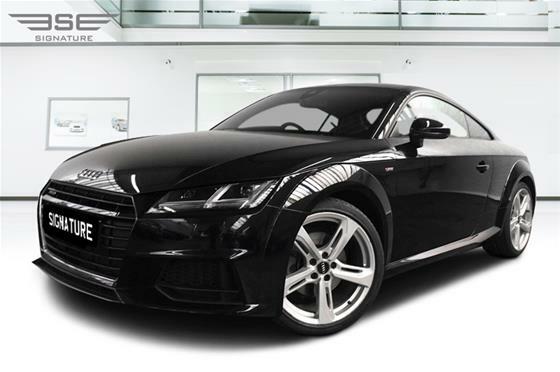 To see which Audis suits your car hire needs, simply click on the model above for prices and further information. Alternatively call one of our experienced customer care advisors on 0207 118 2244 who can talk you through all the benefits of each model we have on fleet in our London showroom. The Audi company is headquartered in Ingolstadt, Germany and has been a wholly-owned subsidiary of the Volkswagen Group since 1964. Volkswagen Group re-launched the Audi brand with the 1965 introduction of the Audi 60 range. Shortly thereafter the name was acquired as part of Volkswagen’s purchase of the Auto Union assets from former owner, Daimler-Benz. The company name is based on the surname of the founder August Horch, the name itself an English cognate with the English word “hark”, meaning listen — which when translated into Latin, becomes Audi. 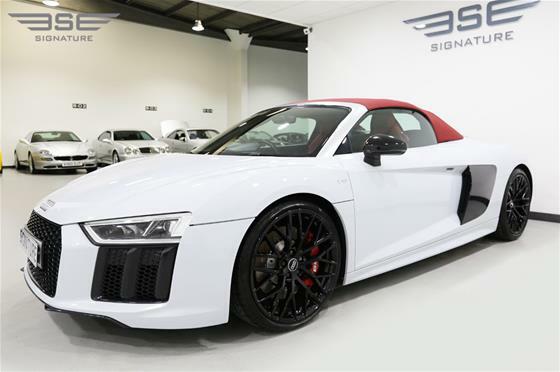 Audi Hire is a top option for fans of the marque who want to understand its appeal. Choose an Audi Car for an exciting weekend of driving or perhaps choose an Audi for your Wedding Car. For whatever reason you need to rent an Audi, these cars are about sheer comfort and excellence in engineering. Driving should always feel like an experience that you will never forget – this is exactly what this Marque achieves. 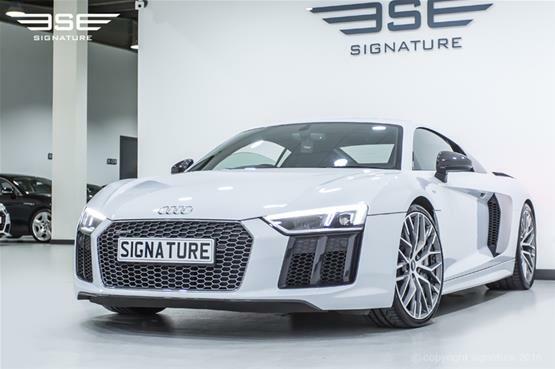 Signature has some great deals available for drivers who want to experience driving an Audi whether it’s the rip-roaring V10 R8 or the R8 Coupe you can explore the road in style when you choose us for you Audi rental in London. It’s through the cabin of Audi cars that the luxury and spirit of super cars comes alive for the driver. We offer nationwide service covering locations like the Home Counties, London, Sussex, Surrey and Kent, etc. The company traces its origins back to 1909 and August Horch. The first Audi automobile, the Audi Type A 10 / 22 hp Sport-Phaeton, was produced in 1910 in Zwickau. In 1909, Horch was forced out of the company he had founded. He then started a new company in Zwickau and continued using the Horch brand. His former partners sued him for trademark infringement and the German Supreme Court finally determined that the Horch brand belonged to his former company. August Horch was barred from using his own family name in his new car business, so he called a meeting with his best business friends, Paul and Franz Fikentscher from Zwickau. At the apartment of Franz Fikentscher they discussed how to come up with a new name for his company. During this meeting Franz's son was quietly studying Latin in a corner of the room. He is quoted as saying, "Father –... wouldn't it be a good idea to call it audi instead of horch?". "Horch!" in German means "Hark!" or "hear", which is "Audi" in Latin. The idea was enthusiastically accepted by everyone attending the meeting. Audi started with a 2,612 cc (2.6 litre) four cylinder model followed by a 3564 cc (3.6 L) model, as well as 4680 cc (4.7 L) and 5720 cc (5.7L) models. These cars were successful even in sporting events. The first six cylinder model, 4655 cc (4.7 L) appeared in 1924. August Horch left the Audi company in 1920 for a high position at the ministry of transport, but he was still involved with Audi as a member of the board of trustees. In September 1921, Audi became the first German car manufacturer to present a production car, the Audi Type K, with left-handed drive. Left-hand drive spread and established dominance during the 1920s because it provided a better view of oncoming traffic, making overtaking safer. The Audi R8 is a sports-prototype race car introduced in 2000 for sports car racing as a redevelopment of their Audi R8R (open top LMP) and Audi R8C (closed top LMGTP) used in 1999. It is one of the most successful sports cars ever having won the prestigious 24 Hours of Le Mans in 2000, 2001, 2002, 2004, and 2005, which is five of the seven years it competed. A streak of six straight Le Mans victories was broken-up only by the Bentley Speed 8 (powered by the same V8 twin-turbo engine) in 2003, when the R8 finished 3rd. Audi smells the sweet smell of victory compared to its rival, Toyota in the 24 Hours of Le Mans. Audi driver Tom Kristensen won his 9th victory with his co-drivers Allan McNish and Loic Duval. This was the 12th victory overall for Audi in Le Mans but it was dampened due to the untimely death of Allan Simonsen, an Aston Martin GTE driver during the race. Audi will continue to work hard to improve on its racing prowess as it builds on its Le Mans race win.